In this multimedia age, discovery of new art is rare. Discovering a new artist, posthumously, is even rarer. Yet that is what happened to historian John Maloof in 2007, when writing a book about his Chicago neighborhood, Portage Park. Needing some vintage photos as illustrations, he acquired a box of negatives for $400 at a storage locker auction, but set them aside when they did not fit the subject matter. Revisiting them two years later, he realized he was looking at the work of an extremely talented street photographer. He only had a name to go by: Vivian Maier. Upon first acquiring the negatives, an Internet search came up blank. A subsequent search two years later revealed her obituary, but with little information on who she was, or her work as a photographer. Intrigued, Maloof pursued further, following up a lead on an envelope of negatives. On the phone from Chicago, Maloof recalls, "I got an address and basically I wanted to find out who these people were in the photos, as I kept seeing families. So I called up and said, 'I have negatives of a lady called Vivian Maier,' and I was told, 'That was my nanny.' And that completely took me by surprise; I would have never guessed that this huge load of negatives, with unbelievable work, taken in dangerous areas, would be done by a nanny. "When I met with those two brothers [who were once Maier's charges], I gave them a box of all their childhood photos and negatives," Maloof continues. "I asked them if they had any of her other stuff and they said, 'John, she was a pack rat. We have two storage lockers we are paying the monthly fees on and we want to throw it out; it's mostly junk.' And that's when I got a truck, and I loaded everything in the truck so that they would not throw it out. Some of the many tens of thousands of rolls of film left behind by Vivian Maier. "They had so many interesting things to say about her," Maloof recalls. "I thought, 'This is really bizarre and fascinating to me,' and I decided to document my journey to unravel who she was from that point." 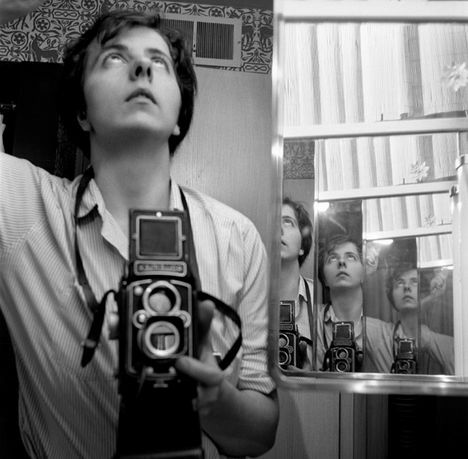 That was the start of Finding Vivian Maier, a documentary co-directed by Maloof and veteran TV and documentary producer Charlie Siskel (Religulous; Bowling for Columbine). The film is a captivating journey of discovery of a talented, yet highly eccentric photographer, who hid her artistry from the public. The filmmakers paint an unflinching portrait of someone who is by no means Mary Poppins: unconventional, cagy, bizarre and irrational, yet gifted with an uncanny eye for framing and capturing life. Making the film entailed painstaking detective work, even more than with most documentaries, as the main subject—now deceased—was reclusive, private and secretive in life. But the items from the storage lockers provided a good departure point, much like an archeological dig. Sorting through her belongings, the filmmakers pieced together various aspects of Maier's life. As Maloof recounts, "That gave us everything we needed to find other people. We had her phone book, her mail, her receipts, uncashed income tax checks. Just tons of stuff. "The research was intense because I had to basically call a couple of thousand leads, and every time you get a new lead it's like a spider web," Maloof explains. "It was so overwhelmingly mind-numbing that I was burning out just doing the research. And when I'd find a person I'd put them on a spreadsheet. Doing reverse phone number searches, I pieced together some 90 subjects who knew her. I ended up interviewing half of them." 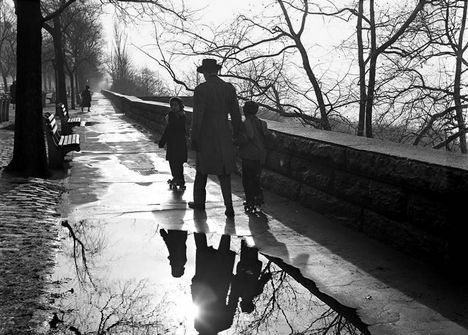 Filmmaker John Maloof examines Vivian Maier's work. The investigative nature of the research seemed never-ending. "With any documentary, it's always difficult to know when you're done; the work can continue forever," Siskel points out. "You're always tweaking and editing, and trying to improve and hone it. It was particularly true in this case because with the investigation and detective side of it, it was difficult to know when that work was done. Digging through, we would be uncovering things all the time. At a certain point, we just had to stop digging and put the film out. Of course, we were haunted by the idea that there was one additional note, one more name, one additional phone number that would change everything, but I think that's really more of a fantasy." Maier's charges—now adults—were surprised to find out that she was such an accomplished photographer. Even though she always had her Rolleiflex camera with her, feverishly taking pictures, they had never seen any of her work. "Everybody who ever knew or encountered her remembered the experience in the most minute detail," Maloof explains. "But once it was revealed she was this great artist, they dug through their memory and they had all this stuff to share. She left such a powerful impression on them." The film does veer into dark territory, but knowing how much the material to include was something the filmmakers wrestled with "from the moment we shot the interviews all the way to the final edit," confides Maloof. "Vivian is fascinating," Siskel adds, "but she's a artist first and foremost. None of this would be interesting at all if she were not a brilliant photographer, whose photographs are ultimately the thing that people are responding to. I started the film thinking she was a nanny who took great pictures, and I have had a complete, 180-degree reversal. Now I think Vivian was a brilliant artist who was hiding out, masquerading as a nanny. Everyone in the film who knew her, knew her as a nanny, not as an artist. That's the ultimate tragedy." As the filmmakers point out, hiding one's art is the opposite of destroying it. Maier preserved her work and left its fate to others. "Intuitively I had always understood the idea that many of the great works of art are lost, and never found and never appreciated," Siskel elaborates. "Vivian is an exception in that her work was discovered. It makes me think that there are so many great artists out there who will never get their due. And also how fragile, fleeting and elusive success really is. It's tragic that Vivian did not get the success of having her work recognized in her lifetime, not because she would have enjoyed the fame—all signs point to the effect that she would not have—but because we make things to be seen and shared and for people to keep the relationship between the artist and the audience. And I think she would be proud that her work has resonated with the public. She found her audience, ultimately." Maloof is now the chief curator of Maier's work. In discussing any controversy that could arise from profiting from her work, he clarifies, "First off, I'm not profiting. In order to develop 203,000 rolls of film, scan them for two years straight professionally, store them, print them, etc., it's an insane amount of money, and the prints have to pay for that. Otherwise we would not be going anywhere. We still have not broken even. 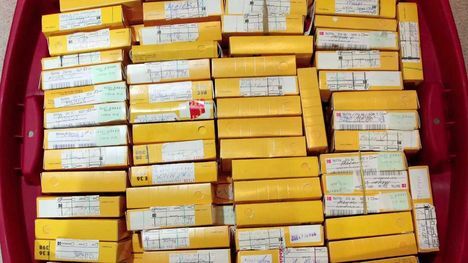 We're just at the point where the archive could pay for itself, but I don't know what the future holds for it." But, Maloof maintains, "If it were not for Vivian, I would not be a photographer, nor a filmmaker. She inspired me to do all that, so I have an emotional attachment to her and her work, and I am very respectful of how she is portrayed. The main thing is that my life has completely changed, because her work inspired me to take a new direction in my life."